What is the # and access code for the March ASD Conference Call? ASD Conference Calls are held every second Thursday of each month. The conference call number is 605-562-0020 ID# 151715583. The conference call number is always the same each month. 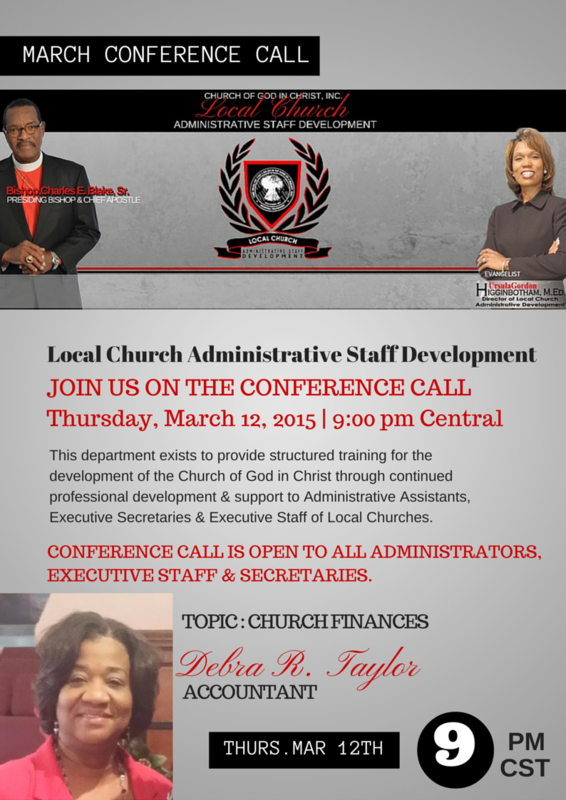 Join us next month April 9, 2015 at 9:00 CST. Our Book for the next conference call is Our Iceberg is Melting by John Kotter. It can be purchased at Barnes and Nobles, Amazon.com or online at rush.com. God Bless and hope you can make the next call. The next conference call is this Thursday, April 9th at 9:00 pm CST. Visit our facebook page for more information at COGIC ASD. The conference call number is 605-562.0020 Meeting ID is 151-715-583. I hope you are able to join us! God Bless! How can I get the information that was shared during the Conference call? Please keep us informed when to join the next conference. The next conference call is this Thursday, April 9th at 9:00m pm CST. Visit our facebook page at COGIC ASD for more information. The conference call number is 605-562-0020 ID is 151-715-583. I hope you and your team will be able to make the call. God Blessed! Feel free to email me at [email protected]. It is a blessing to hear from you. Feel free to email me at [email protected]. Looking forward to connecting with you soon. BBlessed! I am a member of Pentecostal Cathedral Church of God in Christ where Bishop Donald L. Alford Sr. is my pastor. I am excited and looking forward to obtaining valuable information on the Conference Call Line. What is the number as well as the code.